I will just make one last point about this misconception, how we are prisoners of this box that we have embraced and blind us to see the big picture. Why else do people believe that the key to health is just exercise and diet and refuse to listen to other facts? They starve themselves or they eat trash–thinking that it’s healthy–or they slave for long hours in the gym or exercise floor and they do not take into account that exercise is only a stimulus to produce change, the actual change, the improvement that happen while we recover, but nope! That’s too much thinking. Our bodies won’t work like that. Further, why would you want to sacrifice your sleep? Our sleeping habits are just getting worse. We don’t even know how to manage stress anymore. We have created this false sense of urgency and drowned our lives with smart phones and texts that are not urgent, but we believe we are. We’re browsing when we do not need to with this false need to be entertained and distracted and in turn we sacrifice our health by doing so. Do you see where I’m going with this? Yes, thinking takes some work but then again, so does learning something. However, we are humans, and we have this amazing ability to learn and become skilled at new concepts, and we do so through practice. Just think about all the things you have learned throughout your life, all the things at one point you did not know but through practice you became skilled at it. What we need to learn is not just more facts, what we need to do is learn how to put all these facts together so they become part of the big picture. That is what’s missing from our understanding that is what corrupts and enslaves our thinking and that is why I address through all my writing. It is something that I have seen give tremendous results to anybody who learns to think of their own and I’m sure it can help you too I will provide you with the tools you just have to provide the open mind and the work. Well I guess that is enough for today we’ll be covering more topics in the future. Thank you so much for your time. I invite you to check my works and if you have questions, please don’t hesitate to drop me a line. Use my contact box and we’ll be in touch. 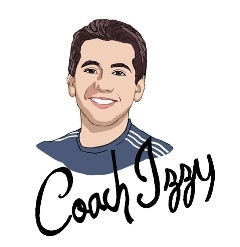 Until next time, this is your friend and host Coach Izzy wishing you good health and I’ll see you on the exercise floor. Take care.